April 3, 2019 After a progress reset, Apex Legends players should have everything restored now. 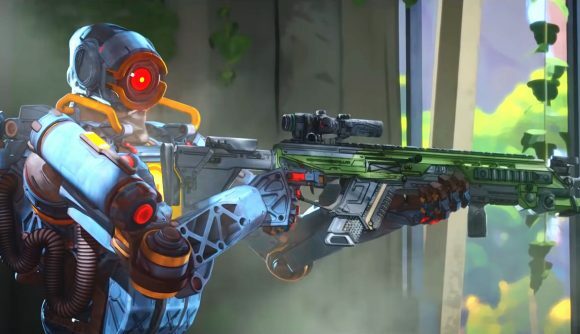 Today’s Apex Legends patch had a nasty side effect – it reset players all the way back to level one. Developer Respawn pulled down servers afterward to get a fix in place, and the game is finally coming back online. The good news is that any lost progress from the update will be restored. Respawn says on Reddit that when the new update went out, “players were unintentionally moved to the wrong servers that didn’t have their persistence and this caused players accounts to appear reset with all progression lost.” The fix meant returning players to their original servers, which seems to have gone off without a hitch. As long as you didn’t buy anything after the glitch happened, that is. Any progress or purchases made between the update going out and and the fix going live will be reset. Hence why Respawn warned earlier that “until we have the issue resolved we recommend you do not buy or craft anything.” Any money you had on your account will be restored to where it was prior to the original update. Update 4.3 adds the ability to make a party with the people you last played with, and also makes some more subtle changes to your mute and report options, as well as building out some anti-cheat features. It also has a handful of bug fixes and performance improvements. It’s hardly a new Legend update, but it would’ve been a nice set of changes. If not for the whole progress wipe thing. Hopefully you spent your time reading up on Apex Legends ammo properties or something similar while you waited for the servers to come back up. You’ve got to make efficient use of your time while the servers are off, you know.